Why would I need self storage in St Louis, MO? There are a variety of reasons why you might need self-storage in St Louis, MO. How much is a storage unit in St Louis, MO? The cheapest storage unit in St Louis, MO is $22.00 per month. What size storage units do you have available in St Louis, MO? In St Louis, MO we have sizes that range from 3'x3' to 30'x30' to suit your storage needs. How much is it for a 3'x3' storage unit in St Louis, MO? The cheapest 3'x3' storage unit in St Louis, MO is $52.00 per month. 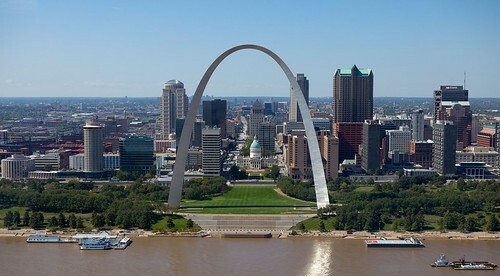 Known as the Gateway City, St. Louis was first settled as a fur trading post in 1764. Incorporated in 1823, the city experienced several population booms throughout the late 19th and early 20th centuries. Since then, slow population declines have allowed St. Louis to reinvent itself. Significant construction, transit projects and numerous major employers, including Anheuser-Busch and Bank of America, contribute to the city's ongoing revitalization. Today, St. Louis is known for its historic parks, including 1,300-acre Forest Park, and its excellent higher education options, including Washington University. With numerous celebrated museums, much-loved professional sports teams and rich cultural life, St. Louis is a thriving Midwestern city. In St. Louis, some of the biggest industries include manufacturing, trade, transport, leisure and hospitality, education, health services, and professional and business services. If you're going to look for a job in the city, you'll find plenty of opportunities in the fast-growing fields of leisure and hospitality, education, health services, trade and transportation. The city's biggest employers include Express Scripts Holding, Emerson Electric, Boeing, Monsanto and Jones Financial. St. Louis has deep musical roots, with a long history as an important place for jazz, blues and ragtime music. It's also the home of the St. Louis Symphony, which is one of the nation's oldest symphony orchestras. Founded in 1880, the St. Louis Symphony is based at Powell Symphony Hall, where you can attend one of their regular concerts. The city also has an active arts and culture scene, with many local performing arts venues offering a variety of shows. The St. Louis Art Museum was constructed for the 1904 World's Fair, and it still stands as one of the few places in the country where you can explore a range of artistic works free of charge. In the city, you'll also find the highly rated City Museum, a children's play-based museum that's earned high reviews nationwide. It features a number of unique elements, including a Ferris wheel, a giant rope swing and a school bus that hangs over the city streets below. If you're a sports fan, you'll find two professional teams in St. Louis to follow. MLB's St. Louis Cardinals play at Busch Stadium and have brought several World Series titles to the city. The other major sports team is the NHL's St. Louis Blues. In the 19th century, the Webster Groves neighborhood was established as a railroad suburb of the city. Many of the community's homes date back to its beginning, and a number of large Victorian homes are over 100 years old. As one of the revitalized, trendy corners of St. Louis, Central West End is one of the most desirable places to live if you're interested in living in the center of it all. There's a mix of modern high-rise apartments and historic homes as well as eclectic boutiques, restaurants and bars. St. Peters has a high concentration of young families attracted by its large green spaces, quiet lifestyle and affordable homes. At the local recreation center, you can swim in an Olympic-size pool, shoot hoops on one of the many courts and even skate on three different ice rinks. Ladue is one of St. Louis' most affluent communities, with homes climbing into the multimillion-dollar price range. The neighborhood is known for its excellent educational opportunities, and a large percentage of locals hold college degrees. St. Louis Public Schools manages the public schools in the city, ranging from elementary to high schools. You can also enroll your child at a number of private institutions, both secular and faith-based. Three large research universities are located in St. Louis, including the top-ranked Washington University School of Medicine. You'll also find a number of religious seminary schools for diverse faiths in and around the city. Utilities: The city provides public water services, and Ameren UE is the central electricity supplier. Spire supplies St. Louis with natural gas. Garbage and Recycling: Trash, recyclables and yard waste are collected on a regular basis. Your specific location determines your collection schedule. Transportation: Bus and light rail service is provided in and around the city, and there are several subways. St. Louis is well-connected to other nearby cities via freeways and interstates. St. Louis is known as a city of neighborhoods with a large number of unique districts. The median home and rent prices in St. Louis are lower than the national average, so you'll find a number of budget-friendly housing options to choose from. Our lowest priced units in St Louis, MO average $34.95 per month. 1154 people have reserved units in St Louis, MO in the past 30 days. There are 20 locations within St Louis, MO's city limits. There are 7 locations in St Louis, MO that offer AC and Heating features.